Sports accidents, including youth sports injuries, often occur at schools, gyms, training facilities and ball fields. Sports activity-related accidents can occur during practices, instruction, games and competition. Most sports injuries can be prevented by the use of proper safety equipment and by taking simple steps to help ensure the safety of spectators and participants. In some instances, there is a basis for those who are injured to take legal action and seek damages. This may be especially true for youth sports or children’s activities. Athletic facilities and organizations owe a duty to provide safe, well-maintained equipment and can be liable if a patron or participant is injured on their premises. Organizations, teams, coaches, instructors and even individual participants may be liable if a participant or spectator becomes injured. 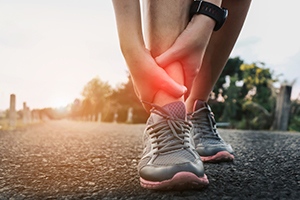 In a sports injury claim, there are different legal standards that are applied by Illinois Courts in determining legal liability when a preventable injury has occurred. Which standard will be applied may depend upon the type of activity or sport, the nature of the contact or harm, the age and skill level of the participants, the use or non-use of safety equipment and the rules normally followed in the given sport or activity. In some cases, a sports injury claim will be actionable under the principals of “ordinary negligence” (carelessness in causing the injury or failing to prevent the injury), yet in other cases a higher legal standard of “recklessness” (willful & wanton conduct outside the rules of a given sport or conduct manifesting a disregard for the safety of others) will be applied. When consulting sports injury lawyers for your case, you should ask whether the attorney has proven experience in overcoming legal defenses that often arise in sports injury litigation (such as the “contact sports rule”) and certain legal immunities (“tort immunity”) granted by statute, including immunity for recreational facilities, schools, park districts and governmental entities. Kendall County, Illinois. Attorney John J. Malm has reached a settlement on behalf of the family of a 12-year-old Oswego boy who died as a result of injuries he suffered after being struck by a baseball during a game in Wheaton, Illinois. On April 11, 2012, Eric Lederman suffered fatal injuries when he was struck by a baseball during a warm up off the field at a travel baseball game. Four team coaches were present, yet Eric was not wearing the catcher’s helmet, mask, or any other protective equipment required by PONY baseball rules. Eric was warming up a pitcher when a ball thrown at him struck him in the neck. Eric died from his injuries the next day. Many preventable baseball injuries occur during warm ups and practices. The confidential settlement with Oswego Baseball & Softball Association (“OBSA”), a PONY baseball organization, calls for the adoption of a new PONY league safety rule intended to protect young players during warm ups, and to help ensure the use of safety equipment. DeKalb County, Illinois. Sports injury attorney, John Malm, recently won a jury verdict against a for-profit baseball tournament organizer on behalf of his client, a Naperville woman, who suffered a lacerated spleen and other serious injuries after a baseball escaped through a hole in a batting cage and struck her during the Illinois state finals 15U baseball tournament that took place on the premises of Kishwaukee College in Malta, Illinois. Mr. Malm presented nearly a dozen witnesses during the week-long trial, including an engineering expert on safe baseball batting cage design. After lengthy deliberations, the jury returned a verdict for Mr. Malm’s client and against Premier Sports & Events Management, Inc., a for-profit tournament host who was responsible for organizing and running the weekend event. Evidence presented to the jury included photographs of the netting for the cage, which contained numerous holes that were sufficiently large enough to allow a baseball to escape and injure a spectator nearby. Eyewitnesses recalled that there was a baseball game being played on the adjacent field at the same time that the woman reported being hit. Although no witness could testify to having seen a baseball escape through the cage, some witnesses recalled a young man come from the cage to retrieve a baseball that appeared to have struck the woman as she watched a baseball game that was being played on the nearby field. Mr. Malm showed circumstantial evidence to the jury, proving that the baseball that struck the woman could not have come from the game. The only reasonable conclusion that the jury could draw from the evidence, Mr. Malm argued, was that the baseball that struck and injured the woman must have come from the nearby cage where some witnesses confirmed that batting practice had been taking place. A West Chicago man has retained youth sports injury attorney, John J. Malm, to pursue a claim for his son who suffered a broken tibia and fibula at a children's wrestling club in the western suburbs. During a recent practice, the wrestling club's coach brought an unidentified adult man to a practice for 6th, 7th and 8th grade children. The man was neither an instructor nor a coach. The coach paired the man with the boy, telling the boy to practice with the man. Initially, the boy refused, but the coach persisted, again telling the boy to practice with the man. Then, the coach walked away, providing no further supervision. The man then proceeded to make unsupervised, harmful contact with the boy, breaking two bones in the boy's leg. The boy's injuries were severe. He underwent two surgeries with hardware and has suffered permanent injuries. The family's sports injury claim brought by Mr. Malm seeks damages, including surgery and medical bills of over $95,000, for the wrestling club's careless and reckless conduct totally outside the rules of youth wrestling and youth wrestling instruction. Will County, Illinois. Sports injury lawyer, John J. Malm, was retained to represent a 12-year old Naperville boy who was injured as a result of an incident at a child’s class at martial arts training facility. The boy claimed that he was suddenly kicked and abruptly dropped to the floor by an adult instructor, without warning and on a day that was not supposed to include any sparring. No safety equipment was being used. The child suffered a broken femur, the strongest bone in the body, necessitating orthopedic surgery, a closed reduction internal fixation procedure. According to the American Academy of Orthopedic Surgeons, a high-energy force is needed to cause a break to a child’s femur, such as the amount of force that is produced by “being hit by a car as a pedestrian, falls from heights and gunshot wounds.” The sports injury lawsuit sought damages for the painful injuries suffered by the child and the medical costs incurred to treat the child's serious injuries, as a result of the training center's negligent and careless conduct. A settlement of $100,000 was reached before trial. Kane County, Illinois. Sports injury attorney, John Malm, has filed a lawsuit on behalf of an 18-year old Naperville boy injured as a result of a fall-down incident at a volleyball training facility in Aurora, Illinois. The young man was attending an indoor training session when he slipped and fell on water that had accumulated on the floor. According to eyewitnesses, humidity in the training center had risen, and moisture accumulated on the floor of the gym. Despite complaints, the facility refused or failed to properly ventilate the gym, causing the wet floor condition. According to a sports flooring manufacturer, “if humidity rises to over 50%, prompt air circulation should be initiated by opening interior doors and windows and activating the ventilating system.” The sports injury lawsuit seeks damages for the knee injury suffered by the boy and the medical costs incurred, including the cost of surgery, as a result of the training center's negligence.